At EZ Electric Power Steering, we respect the data of all our stakeholders. Following the General Data Protection Regulation (GDPR), we have adapted our privacy statement and made it public. 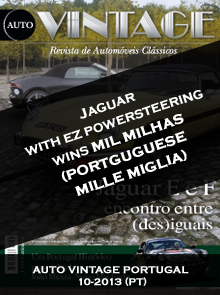 In September 2013 Auto Vintage Portugal published an article about a Jaguar, in which EZ Electric Power Steering had fitted an electric power steering system. Just a month later Auto Vintage writes about this Jaguar again .... 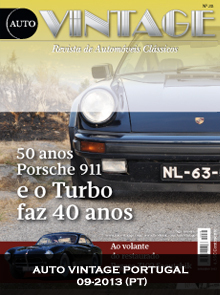 He won the ‘Mil Milhas’, the Portuguese Mille Miglia. To read more Publications (many English ones) just click te link.